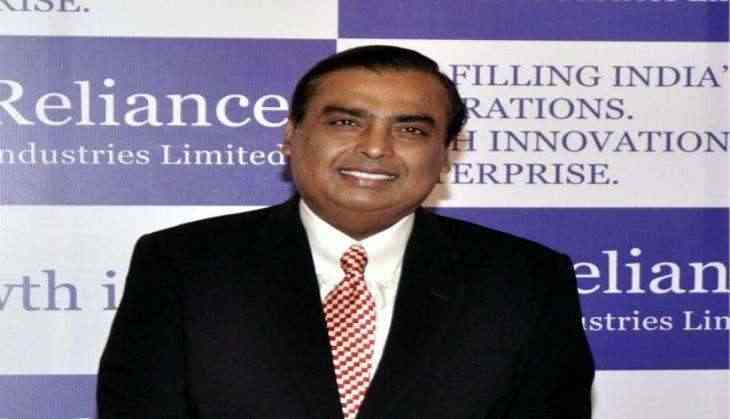 Billionaire Mukesh Ambani-led Reliance Industries and its British partner BP plc have withdrawn a legal challenge they had mounted three years back against the government over delay in gas price revision. The withdrawal of the arbitration will now entitle the two companies to marketing and pricing freedom on the natural gas they produce from newer fields in the deepsea at an investment of Rs 40,000 crore by 2022. Sources said the two companies moved to withdraw the international arbitration before Ambani and BP CEO Bob Dudley met Prime Minister Narendra Modi on June 15 morning. They completed the process within days. That day, Ambani and Dudley, in a rare press appearance, announced restarting the investment cycle in their Krishna Godavari basin KG-D6 block after eight years hiatus by taking up of three sets of deepsea discoveries for development at a cost of Rs 40,000 crore. Dudley had in his previous meeting with Modi in January 2015 made a fervent pitch for extending the gas price premium to existing undeveloped gas fields in difficult areas like deepsea instead of restricting them to future finds as had been announced in an October 18, 2014 decision. The government agreed to his suggestion but made it conditional upon companies withdrawing any legal proceedings or arbitration challenging government's gas pricing policy. While RIL was non-committal, BP made its intentions clear within days of the March 10, 2016 decision. BP India spokesperson had on March 12 stated that the "decision by the government on marketing including pricing freedom for new production from deep, ultra-deep water and high-pressure, high-temperature areas provides clarity to end the pending gas pricing dispute." And today, the spokesperson confirmed that the legal challenge has indeed been withdrawn. "Yes, the 'gas price' arbitration has already been withdrawn," the spokesperson said. An email sent to RIL remained unanswered. RIL and BP had in May 2014 filed an international arbitration after the Election Commission forced deferment of implementation of a new pricing formula the previous UPA government had approved for pricing of RIL-BP's eastern offshore KG-D6 and other gas. The Election Commission wanted the new government to take a view and when the new NDA government came to power it rejected the formula. The formula would have lead to doubling of the gas price to USD 8.4 per million British thermal unit in 2014 but the rate would have been at almost the same level of USD 5.56 per mmBtu decided under the March 2016 formula for difficult fields. Sources said another arbitration automatically fell last year after RIL failed to name arbitrators within stipulated time for the challenge it had mounted against the Oil Ministry's decision to take away five of its KG-D6 block discoveries. BP had not participated in the February 2015 arbitration notice challenging the ministry's decision to take away 814 sq km of its KG-D6 area that contained five gas discoveries for failure to develop them within stipulated time period. However, two other arbitration remain -- one against the government disallowing recovery of certain cost because the partners did not drill their committed number of wells leading to output lagging targets by a large margin. So far USD 2.3 billion in cost has been disallowed as penalty for output lagging targets. The other legal challenge pertains to the USD 1.55 billion penalty the government has imposed on the partners for drawing natural gas belonging to ONGC by drilling wells close to the boundary wall of the state-owned firm's adjacent block in KG basin. RIL is the operator of KG-D6 block with 60 per cent interest while BP has 30 per cent stake. Niko Resources of Canada has the remaining 10 per cent stake.